Stephen Burrington is the Executive Director of Groundwork USA, the national network of local organizations working to build healthy, resilient neighborhoods in historically marginalized communities. Mark Twain once advised, “Buy land, they’re not making it anymore.” In many low-income city neighborhoods, that may seem impossible. The land’s been consumed; built on, paved over, or contaminated, and none is left at any price for parks or other greenspace. But many communities are proving Twain wrong by reclaiming their landscapes and, in effect, making new land. Take Yonkers, New York, for example. Or Lawrence, Massachusetts, or Richmond, California. All are mid-sized cities where, after industry and jobs departed, black and brown people ended up being concentrated in park-poor – sometimes park-free – environments. Now these are all places where, through community-driven efforts, abandoned rail rights of way are being transformed into green community corridors. In each city, a simple greenway (a landscaped route for walking and biking) would be welcome. But “greenway” doesn’t begin to describe what’s being created. These are not your grandmother’s rail-to-trail projects. They feature orchards, playgrounds, community gardens, wildlife habitat restoration, commercial district revitalization, public art, tree planting to sequester carbon and reduce energy use, and more. Each community is producing not just a greenway, but a commons. The same diversity of uses is being introduced on other parcels of land, large and small, that communities across the country are reclaiming. With assistance from Groundwork Milwaukee, 100 neighborhood groups have turned vacant city-owned lots into urban gardens designed and managed not just for growing food but for varied community-building activities. Through trail construction and other work, newly useable places to exercise, socialize, gain skills and experience nature in Cincinnati, Dallas, Denver, Indianapolis and Richmond (VA). Creating the new commons depends on community initiative. City governments rarely have resources to build and maintain parks in marginalized neighborhoods. And today’s understanding of the green assets a community needs to be healthy and resilient calls for more than “parks” as we’ve historically thought of them. It takes a village to figure it out. Community engagement is integral to the entire life cycle of the new commons: visioning, design, construction, stewardship, and management. For Earth Day of his first year in office, Lawrence’s Mayor Dan Rivera asked for 2,000 volunteers to participate in a citywide clean up. The community turned out, thanks in part to the pride that had grown up over years of resident planning and work to carry out the transformation of brownfields and a junk-filled Spicket River into a 3.5-mile greenway that links numerous parks and community gardens. But more than pride was at work. Lawrence, often disrespected by people beyond its borders, has been growing a culture of collaboration and shared stewardship that would be the envy of most cities. Like the commons of other times and places, today’s urban commons are shared resources, places for social and economic advancement rather than mere amenities. They’re working landscapes; places for gardening and farming, walking and bicycling, building community, and introducing youth to outdoor work, engagement with nature, and STEM education. Frederick Law Olmsted, the 19th century park builder, is said to have engaged in social engineering by designing places for residents of all classes to mingle freely. By comparison, the people of the Milwaukee Urban Garden network, and community members who are greening the fabric of other neighborhoods, have put social engineering on steroids. This work is a new form of community development; a vital complement to affordable housing, quality schools and good jobs. Its significance lies in three areas: health, agency and equity. While the park-building of yesterday began with places and focused on design, today’s work begins with people and focuses on health and well-being. As America ponders the root causes of its dismal health statistics and sets out to build a culture of health, the inadequacies of neighborhood landscapes, particularly in low-income communities and communities of color, become conspicuous. 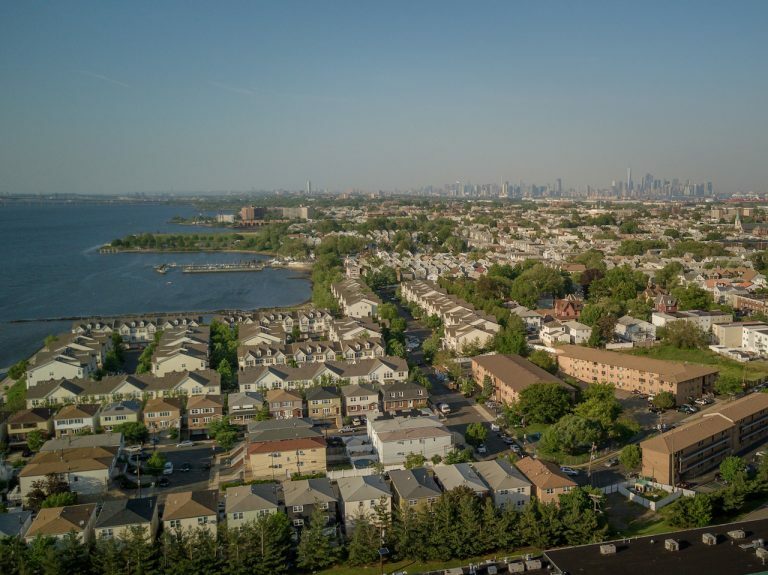 Environmental assets that make a neighborhood a healthy place to live include parks and play spaces, walking and biking infrastructure, tree cover and nature, gardens and other sources of healthy food. But a healthy neighborhood is more than a collection of such assets. It’s a place that creates connections between neighbors, provides opportunities for hands-on learning and skill-building, and supports a culture of outdoor work and play. In communities with long experiences of discrimination, poverty, and trauma, feelings of disempowerment can hinder individual and community progress. Those feelings reflect not just history, but hard contemporary realities that require more than improved morale. But agency, one’s readiness to effect change, provides a critical foundation. Making visible improvements in neighborhood conditions, hand-in-hand with other residents, can be a powerful way to build confidence in one’s ability to change things for the better. The improvements themselves matter, but the process matters too, whether it involves pulling debris out of a river, planting trees, building park structures, turning blighted land into a community garden, or designing a new public space with other community members. Neighborhood parks are important places to work as well as play. For youth on the Green Teams of local Groundwork organizations, neighborhood greenspace can serve as a portal to empowering experiences far beyond a community’s borders. Starting with paid employment, skill development and learning through projects in their communities, they move on to work in nearby National Parks and National Wildlife Refuges and places such as Yellowstone National Park and Grand Teton National Park. Having completed badly needed work to reduce maintenance backlogs, Green Team youth feel not just satisfaction with their accomplishments but a sense of ownership and larger purpose that stays with them. Inclusive development is a preeminent sustainability goal for our era. In cities with hot real estate markets, new or renovated parks can heighten the risk of displacement for longtime low-income residents. Avoiding displacement requires, among other things, bold housing affordability and employment strategies. A critical but sometimes overlooked precondition for inclusive development is residents who feel empowered, who are connected, and who can visibly assert their history and culture in a community’s public spaces. If they function as part of the new commons, parks can be staging grounds for equity rather than displacement. We should make sure they fulfill that potential.